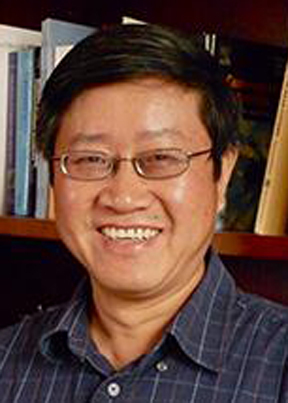 A Wayne State University research team led by Le Yi Wang, professor of electrical and computer engineering, received the 2016 Best Paper award from the Journal of Systems Science and Complexity. Wang collaborated on the paper, “Control of Vehicle Platoons for Highway Safety and Efficient Utility: Consensus with Communications and Vehicle Dynamics,” with fellow WSU faculty members George Yin, Abhilash Pandya and Hongwei Zhang, as well as Ph.D. student Ali Syed. Recognizing that highway vehicle control is a critical component of developing smart transportation systems, the team’s research examined some of the challenges associated with longitudinal platoon formation, a strategy that ensures vehicles move in the same lane at the same speed with preferable distance maintained between them. While platoons offer promise in terms of safety, fuel economy and lower emissions for autonomous and semi-autonomous vehicles, there are challenges with vehicle control, communication and coordination. This paper presents a new method for coordinated control of platoons by using integrated network consensus decisions and vehicle control. The group used unique algorithms to establish a vehicle pattern and achieve global coordination of the entire platoon. The Journal of Systems Science and Complexity is a bimonthly journal that publishes high-quality, original and innovative papers on theories, methodologies and applications of systems science and complexity science, as well as insightful survey papers.